I'm planning a On30 extension to my current O gauge layout, and have a question about trestles. I'm going to need a trestle about 4 feet long, between 4" and 6" high. I've found some pre-made bents, and even a few kits. My question is should I be looking at HO or O trestle parts, or should I just build my own? I'm not aware of any suitable trestle kits. I'm sure they are out there though, but probably very expensive, especially for 4' of them. I would think that a bulk buy bundle of stripwood from eBay & a sketch on some graphpaper & BINGO ! Somewhere I have some nice drawings, I'll see if I can find them. You just need to get some guys in to build it ! I remember that ol' trestle I worked on years ago Sonny ! Used to shake as much as my stick when the ol' No.5 spot Shay went over ! There wasn't any darn eBay to get timber from way back then ! Didn't take too long before the rail boys were spikin' down that rusty iron ! I can't help with the build/buy option as I don't know your skill level. I tried once many years ago to make one in HO and it looked horrible. Got the timber sizes all wrong and your eye just new it wasn't right. Not trying to be funny, one of the premiere bridge kit manufacturers is Hunterline. They recommend S scale bridges for On30. O scale would be too mainline in size and HO is too small, S scale is just right. Hmmmm, seem to remember some story about something similar to do with porridge, anyway have a good day and good luck. I'll need to build a few bridges as well and don't look forward to it after my HO fiasco. 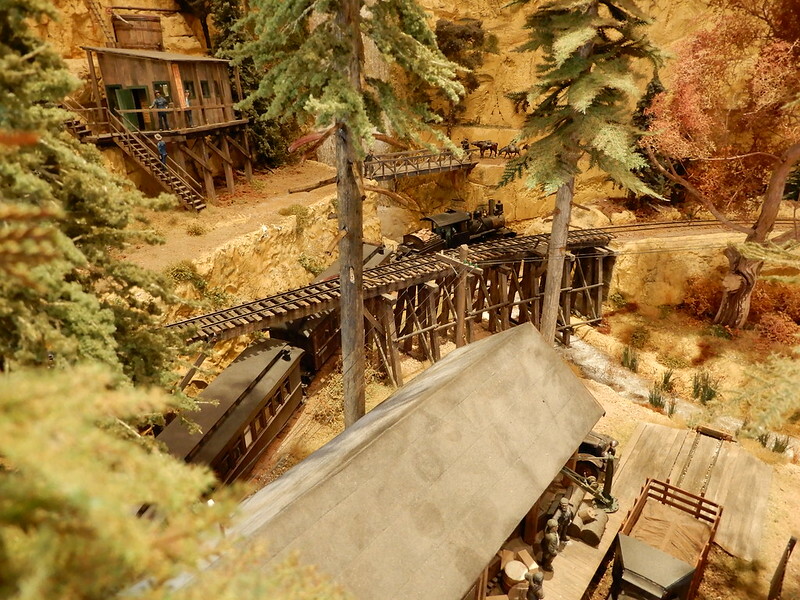 I bought a Hunterline Queen Post S-Scale bridge two years ago and still haven't tackled it. 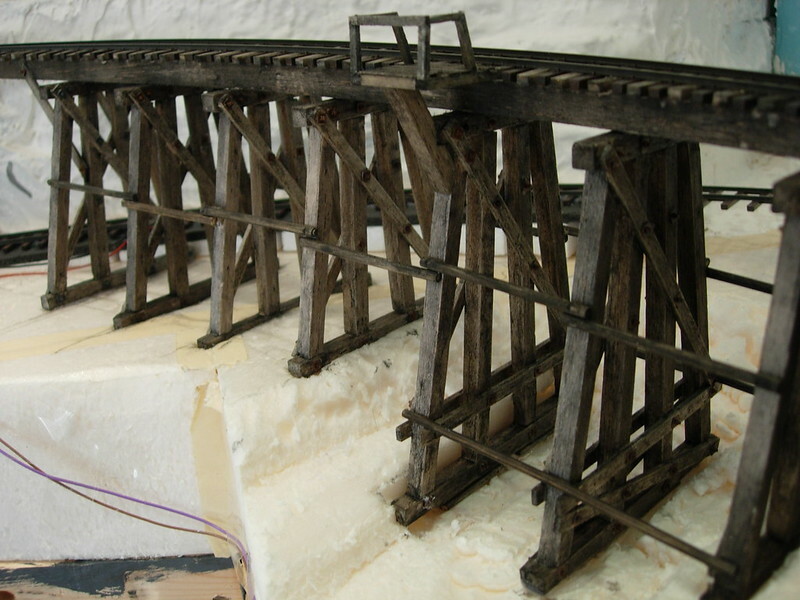 I've looked at a few of the prebuilt HO trestle bents, they would certainly do for On30, cannot remember the name though. 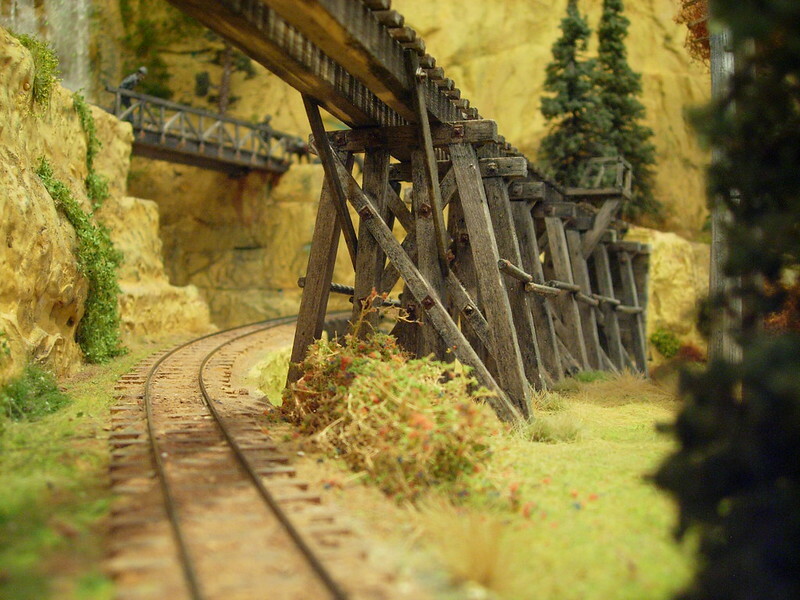 I usually build my own trestle bents, I have a S scale trestle jig, made by "Black Bear Construction Co", however it appears they are no longer made. With the photos Si posted, they will help out a lot if you decide to build your own. Brian, when I came to build Updah's trestle I was put off by the high cost of buying ready made and kit bents so made my own. Easy enough to draw what you want on graph paper to suit any variations in ground level on your layout and you then have a template to build to. Admittedly my On30 trestle is somewhat smaller than yours at 2ft long and 5" tall. But even built from balsa as mine is, it's surprisingly strong. and with the number of bents you're going to need, cost might be an issue if you don't make your own.